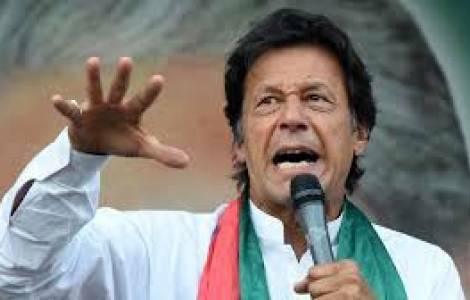 Hyderabad (Agenzia Fides) - - "Pakistan’s religious minority citizens still face challenges and serious issues and welcome the fact that Prime Minister Imran Khan has raised the question of equal rights for all citizens. Let us hope and pray that under his government we and all the nation’s minorities may enjoy the same rights of respect, justice and equality as the majority ", said Bishop Samson Shukardin OFM of Hyderabad diocese who spoke with Fides the day after the new PM delivered his addressed to the nation. "Mr Imran Khan leads the way – the Bishop said – cutting unnecessary expenses and opting for a simple life style. His intentions are good. Let us hope that for the good of the people and the nation the other members in his party will follow". Bishop Samson expresses satisfaction for newly elected government 15 Ministers and 5 councillors , but adds : "I am disappointed to see that none of those selected for the Federla Cabinet belong to the country’s religious minority groups". His opinion is shared Christians and Hindus are discontent. Simon Gill a Christian human rights activist told Fides: "It was a shock to see that not one of the newly ministers comes from Pakistan’s minority religious communities", and that the Ministry for Religious Minorities which used to exist has not been unearthed. Imran Khan, a former cricket player who entered politics, took the oath as the 22nd Prime Minister of the Islamic Republic of Pakistan on 18 August 2018. His address to the nation as Premier lasted just one hour and nine minutes. He spoke of the difficulties to tackle in particular poverty, injustices, corruption, lack of healthcare. He said: "My plan is to make the Islamic nation of Pakistan a prosperous country where no one needs to struggle to survive, no one dies because of a lack of food or proper healthcare ". Imran Khan announced the introduction of a national health card, named Seht Insaf Card, which will guarantee every citizen free medical assistance up to 500,000 Rupees (circa 3,700 Euro). He said with concern: "We are unable to feed 45% of our children and unable to provide schooling for our 2.5 million children; we are one of the five countries in the world with the highest mortality among women". He also said: "We must reconsider our personal life-style: as Prime Minister of a country where many of our people still live below the poverty- line may I live in luxury? The time has come to opt for simple way of life and cut unnecessary expenses ". Speaking about his politic involvement, he said: "I never considered politics a career or a profession. Twenty two years ago I moved into politics with a mission to help my country become the Islamic Social State as imagined by Allama Muhammad Iqbal ". Commenting the words of the new PM, Fr. Mario Rodrigues, a Catholic priest serving in the archdiocese of Karachi, says: "In the decision to renounce personal luxury, I see a certain resemblance between PM Imran Khan and Pope Francis. Let us hope he keeps his promises to improve the lives of our people who are poor and marginalised and to make the new Pakistan a nation where everyone can enjoy equality and justice". "At first I was pessimistic, - Fr. Rodrigues continues – Imran Khan appeared to show little interest in the country’s religious minority communities , but after hearing the address I am confident he will work to guarantee equal rights for every person in Pakistan".